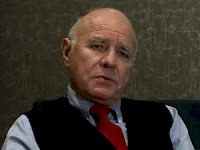 Keep buying GOLD in a disciplined approach said Dr. Marc Faber . I have repeatedly stated that I will buy gold. I expected this correction and I would buy gold at $1300 an ounce and then at $1200 an ounce and then at $1100 an ounce. But I have a disciplined approach to my asset allocation, whereby I would not invest more than 20-25% in gold.